12 Days of Christmas Block ONE!!!!! 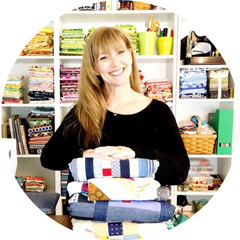 Sara at Sew Sweetness has started off the 12 Days of Christmas Sampler Quilt Along! The first block is AMAZING!!!!!!! I copied and pasted the information so you all can follow along and make a few fun blocks for a cute Christmas quilt!!!!! Hello friends! I don't know about you, but just the idea of Christmas this year has me super-excited! I already have so many handmade things planned, it's unbelievable! To get you in the spirit (with plenty of time to spare), it's time to announce the '12 Days of Christmas' Sampler Quilt Along! Twelve bloggers will each create a unique 12.5" Christmas-themed block and prepare a tutorial to go along with it. The block instructions, available on each designers' blog, will be spread over a 6-week period, giving you plenty of time to join in! If you decide to quilt along with us, at the end of the 6 weeks, you will have a completed Christmas quilt top! If you are planning on joining, the quilt top will require 12 fat quarters, or 1 layer cake. You are also more than welcome to use various solid/holiday scraps! In addition to that, you will need approximately 1-1/2 yard of solid fabric for the sashing. Here is the schedule for each of the 12 blocks; on the respective date, you will be able to find the block/tutorial on the specified blog. You can also check back here after the date has passed, to find links to the tutorials! There is also a '12 Days of Christmas' Sampler Quilt Along Flickr Group for you to join in! We'll be sharing our fabric choices, completed blocks, and questions along the way! Hope to see you around for the quilt along! !